Drill presses are a necessity in the shop of any woodworker. Whether you are just tinkering with creating things out of wood or if you are a seasoned professional, finding the best benchtop drill press or the best floor drill press is essential if you want to get the most out of your shop. In this guide, we will look at drill press reviews and all the various details you should consider in your search for the best drill press. When people think power tools, they think of SKIL, and for good reason. For decades, SKIL has been one of the premier manufacturers of both consumer and industrial machining equipment. This 10-inch drill press lives up to the SKIL quality standard, with a ½ inch keyed chuck and a 5 speed motor capable of as few as 570 RPM for maximum torque and as many as 3,050 RPM for fast, efficient drilling. This press features an adjustable depth stop for accurate alignment and repetitive drilling to produce smooth, clean holes. The work surface is adjustable from 0 to 45 degrees of tilt both left and right, and the Laser X2 dual-beam alignment guide makes precision drilling simple. All in all, this 3.2 Amp machine is, between its modest sticker of a low cost and the reliability of its SKIL pedigree, possibly the best drill press of its size. Weighing in at 33 and one half pounds, this WEN drill press comes out of the box standard with a ½ inch keyed chuck, chuck key, and all the tools necessary to get it assembled and ready to get to work. This 5 speed model has a reliable 1/3 horsepower induction motor with 5 settings ranging from 620 RPM all the way up to 3100 RPM to quickly and easily bore through various materials and thicknesses. Its work surface is height and angle adjustable, tilting as much as 45 degrees left and right, and an easy-to-read locking linear depth stop allows for accurate and uniform drilling with reliable results. Speaking of reliable, WEN includes a 2-year limited warranty with every drill press, which means that you can be sure that this company stands behind their work so that you can confidently stand behind yours. This Powermatic drill has all the bells and whistles. A fence system adjusts quickly and easily for effortless 90-degree alignment, yielding perfectly straight drilling. An adjustable stop makes it easy to drill to the exact same depth over and over, eliminating the need to reset the stop as can happen with other presses. A digital RPM readout allows the user to optimize the drill speed to the material and thickness. And all of this is built around a powerful 115 volt, 1-horsepower motor with a mechanical variable speed which can be quickly and precisely adjusted to whatever the user needs without any of the hassle of endless belt changes. Powermatic warranties this drill against failure or manufacturing defect for up to 5 years. Taken as a total package, we believe Powermatic’s PM2800B the best floor drill press on the market. Perhaps best known for their nifty faucets, Delta is also a leader in industrial power tools. This floor drill press makes precision drilling easy with an adjustable sixteen speed transmission driven by a ¾ horsepower induction motor. A twin laser alignment system takes all the guess work out of lining up the material by projecting a red crosshair straight down onto the material. The work surface is designed for ease of use as well. Larger than virtually all of its competitors, the 18-900L’s work table bevels up to 90 degrees left and right and up to 48 degrees forward. It comes with a removable center insert to allow for through-the-table drilling. What really sets this drill press apart from the rest is its drive. An auto-tension belt drive system ensures simplicity when changing speeds, as well as maximizing motor efficiency with consistent belt tension. The JET 354170/JDP-20MF floor drill press is versatile enough to be right at home in both professional settings and the home woodworker’s shop. The heart of this drill press is a massive 1.5 horsepower motor with a 12 speed transmission allowing for speeds ranging from 150 to 4,200 RPM. Speed changes are simple – simply pop open the hinged cover, disengage the drive, move the belt to the desired pulley, and get back to work. The motor comes wired for standard 115 volt power supply, but can easily be rewired to run on 230 volt power as well. The quick adjust, rotating table raises and lowers with ease, and can tilt left and right up to 45 degrees for easy beveling. A ½ inch diameter depth stop with a quick adjust feature makes repetitive drilling quick and easy. The 354170 comes backed by a 2 year limited warranty. Craftsman is another company that has built a stellar reputation over many decades. Originally best known for their hand tools, Craftsman brings the same quality and attention to detail to their power tool lineup. This 12 in. table top drill press is no exception, with such features as an adjustable fence with a depth stop for accurate and repeatable results when performing repetitive drilling jobs. A swivel knob gives the user easy control over the entire process, and a five speed transmission allows this press to tackle a variety of different materials and thicknesses. The work table is linked to a rack and pinion for precise height adjustments, and is lit by an adjustable LED for even and consistent illumination of the work space. The combination of its features and pedigree make this one of the best table top drill presses for the money. The Shop Fox W1668 is one of the most versatile machines in our lineup. It is, first and foremost, a drill press. A ¾ horsepower motor linked to a 12 speed transmission will handle even very heavy use, up to repeated drilling in ¾ inch steel. The work table tilts a full 90 degrees both left and right, and can be quickly height adjusted or removed entirely to accommodate a wide variety of materials. All of this makes the W1668 a competent drill press, but it can also function as an oscillating sander for easy contour sanding. The oscillating action is ideal for contour sanding in this context, as the oscillation both minimizes heat buildup and ensures a smooth finish without compromising efficiency. The work table comes with a clearance hole for easy sanding, and even has an incorporated dust collection port to help keep sanding jobs as clean as possible. The Rockwell RK7033 Shop Series Press packs a lot in a small package. It is driven by a 6.2-Amp, 2/3 HP motor tied in to a 5-speed transmission, which makes it capable of taking on just about anything the home workshop can throw at it – metal, wood, and plastic of home application thickness. It has a total spindle travel of 2 inches, and can accept bits from ½ inch to .040. Its worktable bevels 45 degrees both to the left and to the right, and adjusts on a precise yet easy to use rack and pinion system. A keyed safety switch adds an extra layer of safety to prevent accidental starting even in often unregulated domestic settings. The RK7033 is a simple, good bench top drill press that provides dependable and versatile performance that is ample for any home work shop in a package that is pretty as a painting. Like its big brother, the Craftsman 10 inch bench drill press provides all the reliability and precision that you would expect from a Craftsman, just in a smaller and less expensive package. This model is driven by a 6 amp, 120 volt, 60 hertz motor through a 5 speed gear box with speeds ranging from 620 to 3100 RPM. The work table has an accurate, easy to adjust rack and pinion system for precise setting and drilling. The table itself is scaled steel. The system comes with a ½ inch keyed chuck and is made to accept up to a ½ inch shank. The 10 inch press is the perfect size for the small home hobby shop, comes at a surprising price given its capabilities, and with the precision of Craftsman manufacturing, you can rest assured that this bench top drill press is built to last for many years of use. The SE 97511MDP 3-Speed Mini Drill Press Bench is a steel, two and a half pound drill press perfect for jewelers and hobbyists. It’s work dimensions take up just under 7” X 7” and has three different speeds to work with, those being five thousand rotations a minute, sixty-five thousand rotations a minute, and eight thousand rotations a minute. This mini drill press has a 7 ½” maximum drill height, as well as a max drill capacity of 6 mm. It has a solid four star review out of five stars. Customers who have purchased this drill say that it is an excellent craft drill press for woodwork, metalwork, and even stained glass. On top of that, this mini drill press comes with a 6 mm chuck key and three wrenches. This drill will impress you with its caliber of drilling despite its inexpensive price tag. The Euro Tool (DRL-300.00) Bench-Top Drill Press is one of the best small drill presses there is. Euro Tool is known for their top quality products, especially with drill presses. This particular mini drill press is 15” in height when it is completely assembled, weighs only thirteen pounds, and a base measurement of 6 ¾” X 6 ¾”. It has the three speeds of five thousand revolutions per minute, six thousand five hundred revolutions per minute, and eight thousand five hundred revolutions per minute. It has four stars out of five stars, and its reviews reflect its excellent craftsmanship. The Euro Tool Bench-Top Drill Press is ranked number four in amazon home improvement bench top drill presses, something Euro Tool should be very proud of with a product with a low cost. Again, this is one of the best small drill presses on the market, and won’t disappoint in quality, durability, or design. The TruePower 01-0822 Precision Mini Drill Press is a grizzly drill press that costs cheaply. It has a permanent magnet motor with complete variable speed control. Within this variable speed control, the speed ranges are infinite within the three different speed ranges. Those ranges are zero to five thousand revolutions per minute, six thousand five hundred revolutions per minute, and eight thousand five hundred revolutions per minute. Its dimensions are 12” X 10” X 8”. One neat feature of this mini drill press is that it can accommodate drills from 0.79 mm to 6 mm. This hobby drill press weighs twelve pounds, has a cast iron work table, and has a three and a half star out of five star review. It’s claimed to have great bang for its buck, and is a reliable drill press to have, so you know it really is a solid investment for hobbies and jewelry making. The Powertec DP801 Baby Drill Press is a wonderful craft drill press. Its engine can generate 2/5 horsepower and has five speeds. Those speeds are six hundred twenty revolutions per minute, one thousand one hundred revolutions per minute, one thousand seven hundred twenty revolutions per minute, two thousand three hundred forty revolutions per minute, and three thousand one hundred revolutions per minute. It is a less powerful drill than the others, but this is so it can be used for much more precise drill to use, and ideal for small projects. It weighs about forty pounds, has the dimensions of 17 ½” X 14” X 9”, and has a table swivel of three hundred and sixty degrees. This useful mini press drill is a phenomenal piece of machinery for precision drilling. The Proxxon 38128 TBM Bench Drill Machine is the most expensive small drill press in this review. The specialty of this little drill is that it has many extra features that can be added on to it, giving it many extra capabilities like precision and different sized jobs. It has the three speeds of one thousand eight hundred revolutions per minute, four thousand seven hundred revolutions per minute, and eight thousand five hundred revolutions per minute. It’s excellent at drilling holes all the way down to 1/64”. It weighs eight pounds, has dimensions of 12.6” X 9.4” X 5.1”, and has a limited two hear warranty. This drill has the highest review of all the drills reviewed here, having a four and a half star review out of five stars. You can’t go wrong purchasing this expensive piece of machinery, because it will get the job done right every single time. As far as benchtop drill presses go, the JET JDP-15M is likely the best one we have reviewed. Boasting a ¾ horse 115/230-Volt motor with 16 speeds ranging from a torque-tastic 200 RPM to as high as 3,630 RPM, this drill press can take on a virtually endless variety of materials. It features a 15-inch swing and an adjustable-tension spindle return to reduce fatigue on long stretches of repetitive drilling to a set depth. The depth stop has an easy to read depth measurement, and can be adjusted easily with a quick set bolt. And, with a 10 inch by 13 inch work surface which can rotate and can tilt up to 45 degrees, any angle needed can be obtained easily and consistently. The JDP-15M comes with a 5/8 inch drill chuck and key, and features a built-in work light for even illumination of the work surface. Craftsman offers five different cutting sizes for drill presses, those being 9”, 10”, 12”, 15”, and 17”. The most commonly bought and reviewed drill is the 10”, and has a four star rating. The highest rated drill press has a four and a half star review, and is the 15” sized drill press. Craftsman provides a solid midrange drill that works well for home projects and other small projects. The Craftsman 10” bench drill press with a laser trac is an excellent choice, as well as the 12”Craftsman 12” bench press. Delta drills offer a little more power and quality. It certainly provides the opportunity to perform more heavy duty tasks. Customers who reviewed Delta drill presses all left almost all positive reviews, and the only criticisms to them were minor adjustments that customers wanted fixed. The best drill press Delta has to offer is its 18” 18-900L laser drill press. Its auto-tension speed belt provides speed changes with ease, and has the best-in-class capacity, among other benefits. An excellent alternative is the Delta DP350 Shopmaster 1/3HP 12-Inch Bench Drill Press, which is a good drill, but not great as far as reviews go. Jet products are some of the top rated drill presses on the market. They offer drill sizes like 15”, 16 ½”, 17”, 20”, 26”, 28”, 30”, and 33”. Of the eight that have been rated, seven of them are rated with four stars or higher. Jet offers some of the best woodworking drill presses and best metalworking drill presses. They also have excellent variable speed drill press reviews. The only thing is that high quality requires high price. The Jet J-2500 15 in. 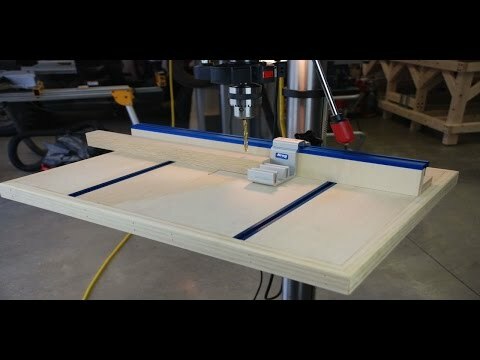 Floor Model Drill Press is costs cheap but is one of the top rated presses. Jet JDP-20MF 20 in. 1-1/2 HP 1-Phase Floor Drill Press is another customer favorite. Wen drill presses are for smaller tasks, and as a result have smaller sizes. They have drill sizes of 8”, 10”, 12”, and 15”. They are very easy to assemble, and Wen has fantastic customer service. Every drill Wen has produced has a customer rating of four stars or higher, save for one. The Wen 4210 10-Inch Drill Press with a crosshair laser is a customer favorite, rated with five stars. Another great Wen drill press is the 4214 12-Inch Variable Speed Drill Press, rated at four stars. Powermatic has one drill press to offer the public, and it is a very high quality piece of machinery. The PM2800B 115/230V 1 HP 1-Phase 18 in. Variable-Speed Drill Press has a four and a half stars to show for itself, but the price can be formidable. It costs cheap, but don’t let that be a deterrent when choosing a drill press to purchase. It’s useful for both metal working and woodworking, and is a solid heavy duty drill press. Shop Fox has one of their drills in bestreviews.com’s top five drill presses. This is the W1668 3/4-HP 13-Inch Bench-Top Drill Press/Spindle Sander, is one of the top rated drill presses. It has a three and a half star review on amazon. The W1667 1/2 HP 8-1/2-Inch Bench-Top Oscillating Drill Press is another Shop Fox premier drill with a four star rating on amazon. It comes with five speeds, and has a three hundred sixty degree radius to work with. Buying a Shop Fox offers the best deals for great drill presses. Ryobi has produced two drill press models, the 10” Drill Press and the 10″ Drill Press with an Exactline™ laser system. The first has five speeds and a three hundred sixty degree rotation. It also has the capability of attaching mortising attachments, making it a more versatile drill press. The second model has the same characteristics as the first, except it has the added feature of the Exacline™ laser system to increase the accuracy of drilling. Rockwells are tricky drill presses, and customers have mixed reviews on them. On average, customers give Rockwell products about a three and a half star review because some customers love them, and some customers absolutely don’t. Take, for example, RK7033 Shop Series 10-Inch Drill press. The main issue people have with this drill is its accuracy with the drill arm. It has five speeds and a beveling table that shifts forty-five degrees left and right. This is probably a good drill to purchase if you’re interested in taking things apart, fixing them, and putting them back together again. Porter Cable drill presses are great alternatives to Craftsman and other midrange models. They have a four and a half star rating out of five stars, and their 15” 8-Amp 12-Speed Floor Drill Press is rated as having magnificent features, value, design, and ease of use. It is the only down side is that they aren’t quite as durable as other drill presses; at least, that’s what the floor drill press reviews say. It’s an excellent, trustworthy drill that will get the job done, and do it well. Ridgid has one single drill press to offer, but it is of very sturdy quality and reliable, too. The 15” 14658 Drill Press is perfect for heavy duty jobs, and is one of the best drill presses for woodworking. It weighs one hundred seventy pounds, making it obvious this piece of machinery means business when it starts drilling. It features a ½” HP totally enclosed, fan-cooled motor with incredible power to get through the toughest materials. It’s an amazingly durable drill, so you won’t have to worry about purchasing a new one for years to come. Overall, this drill is a great choice for the industry work place rather than a home setting. Skil is renowned for the quality of its products, including drill presses. These are some of the best benchtop drill presses that can be found. The 10” Drill Press with a laser is a four star reviewed drill, and this is because this drill, meant for light to medium duty work, has surprised customers with how well it does its job. It has a laser X2 double laser for precision cutting and a forty-five degree rotation radius to the right and left, and comes with a three year warranty. Dewalt drill presses are unique in any drill press comparison, simply because of one reason. The drill that Dewalt sells is magnetic. The DWE1622K 2″ Magnetic Drill Press has two speeds, a three year warranty, and weighs only thirty-eight pounds. It can perform heavy duty jobs, and has overload protection electronics to protect the motor from being damaged. It has a five star review. This is one of the only drill presses that Dewalt sells, but since it works so well and gets such good reviews, Dewalt doesn’t really need to design more models just yet. Milwaukee drill presses are top quality. They offer superior drilling capabilities than most other drill presses, and are top quality in design and endurance. It’s also an American brand, unlike many other drill presses, who are Chinese. The Milwaukee 4206-1 12.5 Amp Electromagnetic Drill Press with ¾” Motor and Chuck, weighs seventy pounds and has a five star rating out of five. Despite its price, it does its job without flaw. Black and Decker is not a well-known brand when it comes to drill presses, and as such doesn’t offer a wide variety of models. The ones they do offer are made for smaller projects. One model that can be found is the Black & Decker BDDP100 3.2-Amp 10” 5-Speed Drill Press. It weighs sixty-eight and a half pounds, and comes with a two year warranty. The drill press reviews give it about a three and a half star rating out of five, and this drill press is great for drilling small holes into wood. Hitachi is a trustworthy Australian brand dedicated to delivering completely satisfactory products. All of its products are placed under intense scrutiny to ensure its products are of the best quality; needless to say, this includes their selection of drill presses. Hitachi’s B16RM – 380mm Laser Drill Press has twelve different speeds to switch between, has a patented X-Y laser guide for efficient drilling, and has a durable cast iron table that can shift forty-five degrees to the left or right. The B13F 10” Benchtop Drill Press with has five speeds, has a laser for accuracy, and has a three star rating. Drill presses weren’t always a commonly acquired item. In fact, they were originally created for industrial use for drilling holes in metal jigs and other essential items for a manufacturing process. Once the realization was made that the drill press could be reengineered and distributed to the masses, the quantity and competition of those produced increased greatly. Drill presses have immense capabilities, but their most popular feature is the ability to precisely measure and drill a hole in most any materials and drill the hole at an exact desired angle. There are hundreds of different models on the market, and each comes with their own advantages and disadvantages. Models can be desirable because of their price, simplicity, attachments, power rating, duplicate uses, or other factors that are outlined by the manufacturer. Floor drill presses are larger models of the common drill press platform. Floor drills are often more expensive, but they allow more space for added features and raw power. The first advantage of having a floor drill press is the fact that it frees up your workbench space. Having your limited workbench space cluttered with a clunky drill press can get both hazardous and annoying. The fact that the floor drill press stands on its own allows for a larger drilling platform and larger vertical movement ranges. The added vertical movement allows for deeper holes, or holes drilled in taller objects. Having a bigger platform allows for larger support underneath the object and added stability. Having a larger frame also allows for a larger motor. This larger motor can provide more torque to keep the bit turning in tough materials; it also provides the capabilities for higher speeds of rotation, which can lead to cleaner drilled holes. The best home drill press is one that can be acquired by almost anyone and doesn’t cause a major inconvenience in both the space it takes up and the monetary aspects. Bench top drill presses excel here when someone wants to complete a professional looking project and doesn’t have the money or space to go out and buy a professional drill press, but still wants the abilities to drill straight and accurate holes in the material of choice. Bench top drill presses offer the vertical adjustability and precise measurement, and offer a small and light form factor. However, they do not accommodate the larger pieces as successfully. Portable drill presses are for those who don’t have a designated work area, or those who like to take their projects with them. Portable drill presses have a type of mounting mechanism on them, whether that is a magnetic plate, or a clamp that lets it attach to any table or workstation. Portable drill presses typically cannot compete with their more permanent counterparts when it comes to the power of the motors, but they make up for it in their small size and economic prices. The advantages and uses for a drill press far outweigh the cost of the mechanism. Not only do you receive the ability to accurately drill the desired holes and select the angle of those cuts, but you can also control the depth of those cuts. If the desire isn’t to drill all the way through a piece of material, you can stop at the right spot. You also gain the ability to mount designed accessories. Simple accessories like a lamp and a vise to hold the parts in place are simple accessories, but commonly overlooked and greatly improve the precision of a project. Other possible accessories include sanding and buffing abrasives to smooth out surface without ever having to move the piece from its secure position on the vise. There are plenty of factors to consider when buying a drill press, regardless of the platform you choose. The first and most important is solid construction. Reading drill press reviews from customers who have used that particular model will allow you to see what the real feelings about it are. Another factor to ensure is that the drill press has a speed control setting. Having the ability to adjust the speed at which the bit is spinning is important, because ideal bit speed changes between materials. A third factor to consider is the compatibility with accessories. Accessories can make a job very simple if you have the right tools, and most drill presses have the ability to mount those accessories, but ensure that before purchase. The procedure for using a drill press is fairly simple, but can become more complicated with harder materials, or non-ideal conditions. Once you have clamped your part to the drill press table, and selected the drill bit size and mounted the bit, you need to select the speed for the press to operate at. A good rule of thumb is that slower speeds are good for metals and faster speeds are good for wood and similar materials. When drilling, use coolant when necessary, and back off occasionally to clear the chips out of the channels in the bit. It cuts better and cleaner if these channels are clear, so after drilling a bit, back the bit out half way and let it clear, then repeat. The primary part of operating a drill press safely is to make sure it’s primarily maintained, and that any loose articles of clothing or personal items are secured. Even the best drill press will fail and cause injury to those operating it without proper care because it operates with a spinning gear that turns the drill bit. Making sure to lubricate that gear and blow any excess particles out of it will ensure it spins freely and smoothly. Making sure to check the pulleys and belts will help to ensure that they do not snap during operation and fly off causing more serious damage. Making sure to clean the drill press off after each use will help protect it from rust and other possible causes of damage, and it makes the time before using it the next time shorter. There are hundreds of accessories that can be used with standard drill presses, but the most essential accessory has to be an attachable light. Clamp lights give you ability to attach a light to the press that can be easily turned on and off whenever needed. Other accessories include angle vises, bit storage, and fences. Angle vises allow you to clamp the material at a particular angle if straight vertical is not desired. Mountable bit storage bins allow for quick access to the drill bits you use most often, and fences allow you to precisely move materials around if you are using the press as a router or sander. The top rated drill presses are acclaimed for their success because they provide a top-notch system for users to experience. One major component of this is the drill press table. The table provides all the support for the material that is being drilled through, as well as the mounting positions for accessories and add-ons. Drill press comparisons reveal that most of the highly rated drill presses have a large worktable for drilling. Larger tables provide more versatility in materials, as well as angles of drilling because of the support provide to ensure a clean and straight hole. Some drill presses do not have large tables, however if one is desired, attachable tables can be purchased for most models. A drill press stand is a metal support unit used to stabilize a rotary drill and turn it into a drill press. It holds the drill in place and reduces user error for light to medium drilling jobs. The Electric Drill Bench Drill Press Workbench Stand Drilling Machinist Workshop is a drill stand used for electric hand drills. Another example is the Milescraft 1097 Tool Stand Drill Press, a drill stand with a three and a half star review out of five stars on Amazon. Of course, table top drill presses require no stands. Read table top drill press reviews to learn more about this type. A drill press vise is a useful tool that can be secured to the drill table for holding down smaller things that need to be drilled that are too small to be held by hand. They are especially useful for holding metal pieces down for drilling. The Universal 4″ Cross Slide Drill Press Vise is a superb example of a drill press vise. It costs has a three and a half star review out of five stars. A less expensive yet high quality example is the Euro Tool (VIS-265.00) Drill Press Vise Clamp. It has a four star out of five star review. Industrial drill presses are used in heavier duty tasks, and typically are floor machines. This means they stand on their own and don’t need to be placed on a table. The Jet 354170/JDP-20MF 20-Inch Floor Drill Press has a four and a half star review out of five stars on amazon. Also, another example is the Jet J-2500 15-Inch 3/4-Horsepower 115-Volt Floor Model Drill Press. It has a five star out of five star review. Do it yourself drill presses can be tricky, but are certainly manageable. A table to mount the DIY drill press is necessary to begin. A pipe formed at a right angle with a solid piece of wood attached is also necessary for the drill to slide against. There will also need to be a wooden arm constructed to press the drill down with as well. If the measurements are exact, your homemade drill press will be as accurate as any drill press on the market. There are several differences between these two styles of drills. For starters, hand drills are not automatic, like drill presses, and hand drills range from 1 mm to 9 mm, while drill presses have several different sizes way outside of that range. Drill presses come in various shapes, styles, and designs, but a hand drill is practically the same shape no matter what brand you purchase from. Drill presses are going to be more expensive than hand drills, one reason being the speed of drill presses is much more efficient than hand drills. On top of that, several safety features are added into drill presses. Hand drills are only as safe as their users. One other main difference between these two types of drills is the accuracy with which they operate. Drill presses are considerably more accurate at a more consistent rate, while hand drills rely on the precision of the person wielding it. 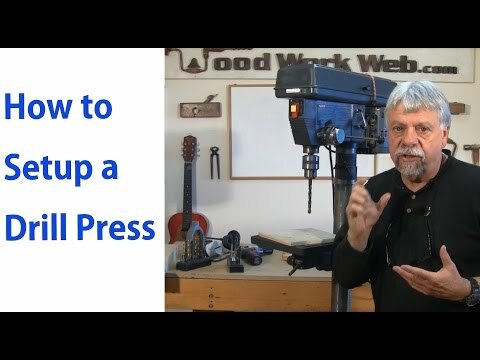 If you want close to the same result from a hand drill as a drill press, but don’t want to pay the full price of a drill press, it is possible to modify your hand drill and turn it into a drill press. AS mentioned before, hand drills have certain limitations. Hand drill tasks take longer to perform, they are more inaccurate due to human error, and redoing mistakes can take up precious time. Performing this conversion will make your hand drill faster, more accurate, and more efficient as a drill press. The only thing you need to use is a drill press stand to make this conversion possible. First, take the clamp off of the hand drill. The drill press stand comes equipped with its own clamp, which is where the hand drill must be inserted and tightened into. Second, make sure that you mount the drill press on a firm surface. It is important for safety and for accuracy. Third, use your modified drill press with caution. It is safe to use on light drilling jobs, but not so much on heavier drilling jobs. It also isn’t meant to make holes as big as other normal drill presses can make. Fourth, be safe. It’s absolutely imperative to be safe with any do it yourself project, and double checking your handiwork is important to make sure it is safe to use. These for steps will have changed your manual hand drill into a modified drill press that will increase your production, precision, and efficiency. Drill presses can sometimes be massive, or they can be small portable models. When purchasing a drill press, make sure you pick a size that will suit you best. You want a drill press that is big enough to get the job done, but still small enough to fit in the space you have available. The best floor drill press, or any drill press for that matter, is one that you can properly use in your workspace. Accessories to your drill press can make a big difference in how effective it is. Once you have chosen a good drill press, you may want to consider purchasing accessories such as clamp on lights, different vises, adjustable table tops, and more. In order to get a top rated drill press, you may want to customize it to your likings. Ensure that the drill press that you buy has a chuck that is tightened with a tool and not tightened by hand. The chuck is the part of the press that holds the drill bit in and secures it. Having a chuck that is tightened by a wrench or specialized tool ensures that the bit stays secure and locked in to the press, and is in no danger of flying out. Confirm that the drill press has an adjustable depth gage for setting drill depth. Often times, drill holes only need to be a certain depth, and any deeper will result in structural damage, or other consequences, if nothing more than cosmetic damage. Having the ability to adjust the depth of the drilling will help for a cleaner and more accurate project. Drill presses can be found at a variety of hardware and tool stores. However, one of the current best ways to find drill presses for sale is online. Retailers such as Amazon carry a wide variety of drill presses and often deeply discount their prices, making it easy to find the cheapest drill press available. Also, you may want to consider going directly to the manufacturer’s website to buy drill press. Both of these options give you access to a full catalogue of great drill presses, making it easy to find the best cheap drill press available. No matter what type of woodworking project you are wanting to embark on, chances are you are going to need a good drill press. Whether you are in need of the best home drill press or a great portable drill press to take with you on the go, putting in the research to find the most powerful and easiest to use model available will certainly pay off. By following the instructions in this guide and looking through drill press ratings, you will be able to easily find the best drill press no matter what your project requires. Armed with this information, go out and buy a great drill press today!